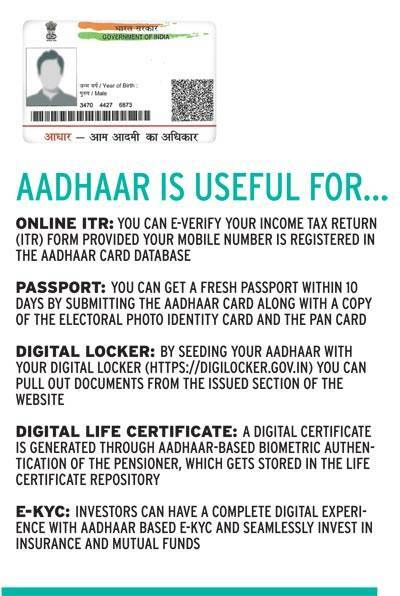 How to link Aadhaar with PAN Card? And, what are its implications? Everything you need to know about the implications and impact of linking Aadhaar with PAN. To get Aadhaar card or not is no longer a question. And linking it to one's Permanent Account Number or PAN card is no longer a choice. Through the Finance Act 2017, the government has set July 1, 2017, as the deadline to link one's PAN with the Aadhaar number. Failing to do so may lead to invalidation of your PAN card. If that happens, your PAN card will cease to serve as an identity proof, debarring you from transactions that cannot be carried out without quoting PAN. For instance, you may not be able to file your tax returns this year, since quoting Aadhaar and PAN numbers has been made compulsory. 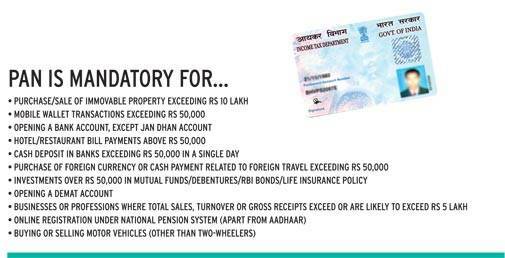 Similarly, without a valid PAN card, buying property worth more than Rs 10 lakh will not be permissible. The list is long. PAN is a 10-digit alphanumeric number issued by the Income Tax Department used for tracking financial transactions, including big spending. Aadhaar is a 12-digit number code issued by the Unique Identification Authority of India (UIDAI), used for establishing identity on the basis of demographic and biometric information. The main purpose is to create a unique, universal identity for Indian citizens that would negate the need for different documents to avail of certain services. It serves as both identity and address proof anywhere in India. It is a step ahead of other identity proofs, such as voting ID card, passport and driving licence, because every Aadhaar card is linked to an individual's biometrics. However, it is far from being perfect. There have been reports of Aadhaar being pilfered. Archit Gupta, Founder & CEO, ClearTax.com, says the government will have to ensure an individual's Aadhaar identity is not compromised for it to be effective. "Since Aadhaar will be used by several agencies, it may be prone to data breach. This requires the government to exercise extreme caution." The government has also mandated that bank accounts be linked with PAN by June 30, 2017. In case an individual does not have a PAN card, he/ she needs to fill Form 60. The Supreme Court is hearing petitions challenging the government's decision to link PAN with Aadhaar. After logging in, go to your profile setting which has the option of linking your Aadhaar Card. Generally, a pop-up window appears, prompting you to link your PAN card with Aadhaar card. Check if the details such as name, date of birth and gender appearing on screen match with those on your Aadhaar card. Enter your Aadhaar card number and click on the 'link now' button. If details on both the cards match, your card will be linked instantly. Amit Maheshwari, Partner, Ashok Maheshwary & Associates LLP, says, "As the bank accounts of the person would already have PAN as his/her KYC requirement, once Aadhaar is linked with PAN, it will certainly lead to automatic link with the bank accounts as well." Hence, the interconnection of PAN card, Aadhaar and bank accounts, implies that the government will be able to keep a track of your financial transactions. With this linkage, the government is also trying to solve the problem of people having multiple PAN cards and filing tax returns with those. So, effective July 1, 2017, only tax returns linked to an Aadhaar number will be accepted. "Since Aadhaar is based on biometrics, the chances of duplication are much less as compared to PAN, which is not based on biometrics," Maheshwari adds. Several banks are asking customers to link their bank accounts with Aadhaar. However, Sanjay Silas, President & Head, Branch Banking, Axis Bank, informs that there is no notification from the Reserve Bank of India to mandatorily link a bank account with Aadhaar number. "The government has come out with a requirement of quoting the Aadhaar number for applying for a PAN card or filing of income tax returns. As a bank, we are guided by RBI's KYC/PML guidelines which stipulate acceptance of one of the six official documents required for opening of an account, of which PAN card and Aadhaar are a part. There is no requirement for an individual to produce both the documents for opening of a bank account." Non-resident Indians (NRIs), however, are not required to quote Aadhaar number while filing income tax returns back home. According to the latest data, there are more than 24.37 crore PANs registered in the country, while Aadhaar card has been issued to 113 crore people. Against this, only 2.87 crore individuals filed income tax returns (in the assessment year 2012-2013), out of which 1.62 crore did not pay any tax - leaving the number of taxpayers at just one per cent of the country's total population. Given the abysmally low number of tax payers in the country, the government intends to keep a close watch on tax evaders with this move. One should be careful that there is no mismatch in basic details like name, date of birth, father's name and address, which are common to Aadhaar and PAN. If both do not read the same, there can be procedural hurdles while linking the two. 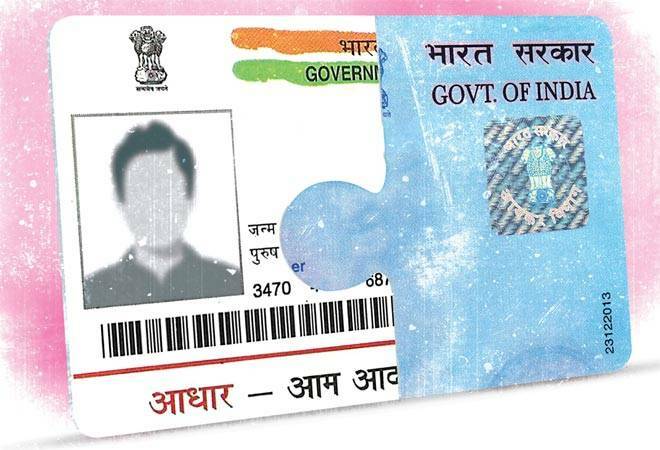 Kamala Radhakrishnan, VP (Business Development) at CAMS, empanelled by the National Securities Depository Ltd (NSDL) for PAN applications, informs that the number of applications submitted for correction of names in PAN cards has seen a significant jump in recent weeks. This is because people who do not have a consistent style of spelling their names are facing problems in linking their PAN cards with Aadhaar cards. Maheshwari says, "If the details in PAN are incorrect, the person is advised to submit a PAN correction form at designated centres of NSDL with necessary evidences. Similarly, if the details in Aadhaar are to be corrected, the person should visit the designated centres with necessary evidences to get it rectified." One can also rectify the mistake online by uploading the scanned copy (if the mobile number is registered with Aadhaar) on the website of UIDAI. Soon, the Income Tax Department is expected to allow linking the two even if there is a mismatch in the names, as long as the date of birth is matching. Gupta of ClearTax.com says, "The government plans to include an online functionality on the official website of the tax department where Aadhaar can be linked via OTP which will be generated in case of a name mismatch scenario." The OTP will be delivered through a text message on the registered mobile number of the taxpayer. After entering the OTP on the portal, Aadhaar and PAN card will be linked. The government is expected to release a detailed notification to this effect soon. It is always advised that when writing name on important documents - be it while opening a bank account or applying for a PAN card - one should always maintain a consistent style and spelling of one's name. If you choose to use initials in your name, the pattern should be the same across documents. The rising prominence of Aadhaar speaks of the government's intention to exercise greater control, resulting in transparency in financial transactions across the country.